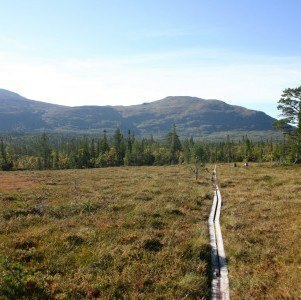 A unique experience in Jämtlands wilderness, perfect for the outdoor enthusiast! Staying at Camp Dannevall will provide you with a unique and intimate experience you will never forget. Our apartments have been developed with the outdoor enthusiast in mind. Are you looking for accommodations and want that extra experience? Drop us a line and let us describe to you what we provide! 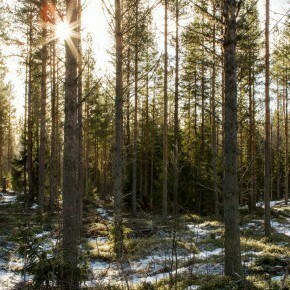 Located in central Sweden, Camp Dannevall is the ideal base for your outdoor holiday. 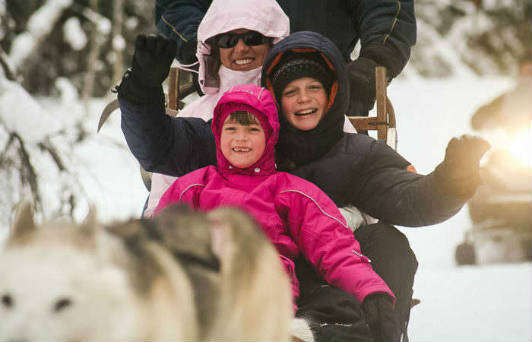 The camp is located 30km from the regional centre Östersund and is the perfect place for people who enjoy sled dog driving, cross-country skiing, fishing, hunting, canoeing, snowmobile safaris, hiking, climbing and more. Whether you are an individual, a couple or a group seeking outdoor adventure, you will feel at home here. You can even bring your own dogs to train here – we have kennels to accommodate them, a special area for storing and preparing their food and an extensive, well maintained, system of trails through the forest that accommodates every distance racer. 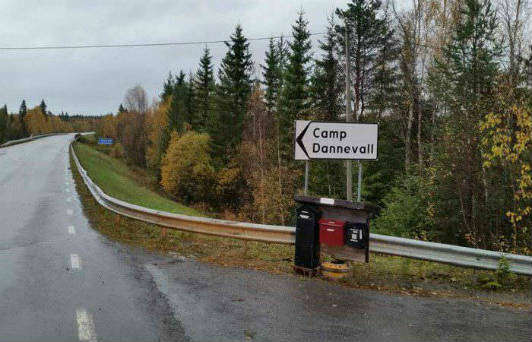 Anyone who has stayed at Camp Dannevall will agree it is a truly unique place. The camp was built by hand using timber from the surrounding woods. It is in rugged wilderness style, but with your comfort (and a little luxury!) in mind. We have four self-catering apartments suitable for couples, hunting parties or small teams. The apartments are all different yet show the same attention to detail, as well as unique features such as hand-crafted mosaics and hand-carved panels. All the apartments have fully equipped kitchens and bathrooms as well as TV and access to a Netflix account. Besides vacations, Camp Dannevall is an ideal choice for small group seminars and team-building workshops. We are proud to announce that we are now an outdoor facility dog pension. Does your best friend need a place to stay while you are at work? Are you going away for a few days and need someone to give your dog the love and attention they need? Let us help you! Dogs that stay with us are not just stored and fed. We feel it is very important that dogs in our care get ample opportunities for exercise and stimulation, just as if they were our own dogs. In the winter our Camp is transformed again, but into a Mushers paradise. Most winters see Jämtland covered in a heavy layer of thick and dense snow. 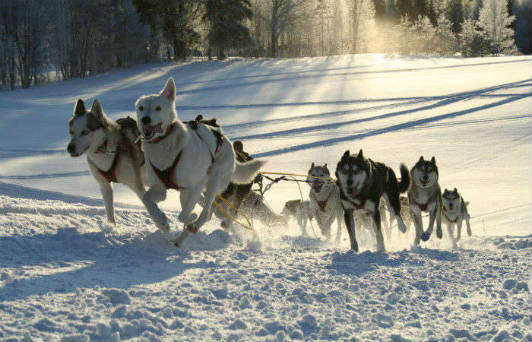 It is then that we take to the forest and prepare our 5 star mushers trails. We offer our guests trails for training sled dogs between 5 km and 45 km stretches that take the mushing team deep into the forests. It is not unusual for guests to stay a longer term to fully benefit from our system. We even offer courses for those wishing to improve their skills. Interested in fishing for grayling and trout? In the summer months the camp is transformed into a fishing camp. We are situated on the banks of the river Långan, which is included in the regions famous fishing route. You can choose to fish on your own after purchasing a fishing card from us and go directly to your fishing location and start having fun; you will be provided with a fishing guide and our tips for the best fishing spots to catch that big grayling and trout! Or you can upgrade and get the whole experience with a guided tour. 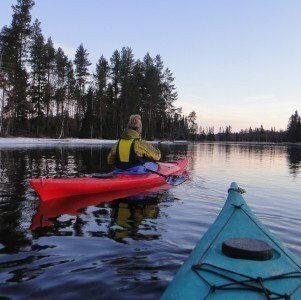 What ever option you choose, Fiskevägen includes other waters than just river Långan which you will get access to. Let us know if you are interested in a guided tour. The beautiful county of Jämtland provides you with numerous activities to enjoy the nature and outside. 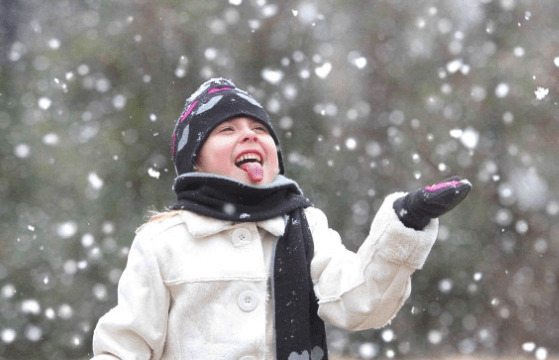 We can help you design your perfect rustic holiday with us. Many of the activities require a little travel. We collaborate with some of the best companies to ensure that you have an experience you will never forget. Here are just a few of the options. 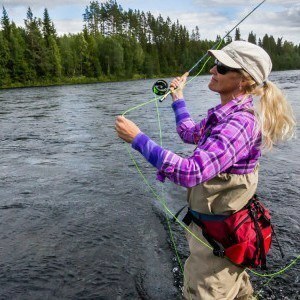 Camp Dannevall is situated on the banks of Långan, perfect for the fishing enthusiast. Trout and grayling are a few of the species that can be found in the waters. Looking for a prime hunting experience? Moose, birds or beaver? 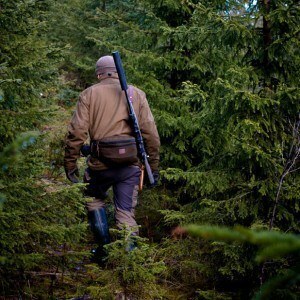 We have access to some of the best hunting grounds and guides in the area. Camp Dannevall offers canoes and kayaking with life jackets to our guests. There is no other way to enjoy the tranquility and stillness of the early morning than on the water listening to the fowl calling to each other. You might even get to see a beaver swimming by as well. Jämtland is full of exciting and interesting adventures. Why not join us on a daytrip and see the Thailand Pavilion, the dead waterfall, kiss a moose at Moosegardens, taste some locally produced cheese at Skärvången or even go back in time at Jamtli. The forest is a great place to just be, surrounded by nature going back to our roots. The autumn is the perfect time to visit us when the forests are filled with blueberries, lingon, cloud berries, and mushrooms galore just waiting to be picked and dried, pickled or made into sweet jam. Situation in the middle of Jämtland, Camp Dannevall is your central spot for great hiking expeditions. Bydalen and Ansätten mountains offer a great day hike and for the more adventurous, why not try hiking the 2 day hike of Jämtlands triangle (Storulvån-Blåhammaren). We stayed only one night at Camp Dannenvall which was the only disappointment!!! Nina an Kjell were extremely welcoming, and care taking. The apartment was beautifully done, clean and artistic. Kjell's craftsmanship was amazing. The bathroom was clean and spacious. Full kitchen was great as well. Nina offered to give us transportation if necessary, and upon arrival there was food already in the fridge for breakfast. The food was classic scandinavian, quality fruit/vegetables, bread, cold meats, cereal and coffee or tea. Delicious! Nina and Kjell pointed me to the to the Landsarkivet in Ostersund to help me trace my family genealogy in Sweden (The purpose of my stay in Sweden). The Landsarkivet was perfect, the staff awesome and I learned so much about my family history and living relatives still in Sweden. AKA, Nina and Kjell were knowledgeable and intelligent people. Can't say enough positives about this couple and the lodging facilities they have there. Got to meet the sled dogs and enjoy the nature. I hope my next stay will be longer and I will be able to take advantage of a fishing excursion and more time spent with Nina and Kjell. I would give the place 5/5 stars!! 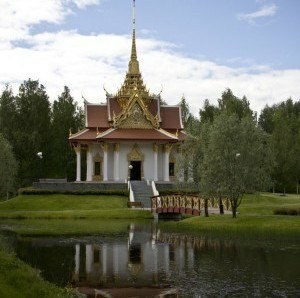 This is a lovely place close to the river Långan! Nina was very easy to communicate with, gladly answering questions about anything from the best route from the southernmost part of Sweden (some 1200 km away) to questions about the equipment in the apartment. Upon arrival, we was greeted by Nina, showing us the apartment, informing us about the surroundings and so on. There was even a fire started in the fireplace, and a water bowl for the dog. Very nice and welcoming! Kjell actually hand-built the apartments (and the other buildings...) himself, and one can see that both Nina and Kjell cares for the place. We stayed in apartment number one (out of four), which was very nice and very well equipped. Nicely decorated apartment, fresh flowers on the table, some basic food for breakfast and a kitchen with every piece of equipment you need. The sled dogs (30 or so siberian huskies) lives close to the apartment and barks now and then, but not disturbing in any way. We were invited to meet the sled dogs when Nina was about to take them out for training. Amazing dogs! 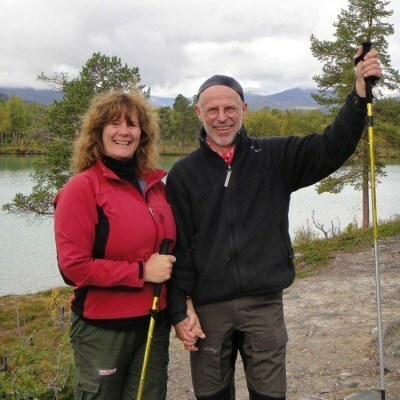 Kjell and Nina are two amazing people who love to share their experience over a cup of coffee, both very close to nature and hospitable! Would love to come back to this place in the future! Camp Dannevall is a beautiful, serene, and welcoming retreat in the forest! We were incredibly pleased with our visit and delighted to meet Nina and Kjell. They are both so personable, thoughtful, and genuine. Before our stay, Nina went out of her way to communicate with me by phone and email -- to welcome us and make a personal connection, and to give me information about things to do in the area. Once we arrived, they oriented us to our accommodations, introduced us to their sled dogs (which were very sweet and surprisingly quiet), shared some of their life stories, heard some of ours, and left us to settle in. Later in the evening, they generously offered to take us up the river so we could float down in kayaks and a canoe. We were thrilled that Nina wanted to join us for the trip. Kjell hand-built the timber frame lodge from wood on their property and it is absolutely lovely! It is both rustic and tastefully decorated. The apartments were furnished with everything we needed (including some basic food supplies) and were very cozy. I would not hesitate for one moment to go back. In fact, I'm already looking for an "excuse". Staying at Dannevall was a highlight of our trip! Arriving at Camp Dannevall you will be warmly greeted by us, Nina and Kjell. We like to think that we are personable, fun and friendly. In our life there is always time for a cup of coffee and a laugh with friends. We enjoy life to the fullest. For us, our guests and our dogs equal in being our number one priority and we strive to give you an experience you will never forget. As soon as you enter our gates you will feel at home and that you have arrived among friends. We have been running Camp Dannevall together for about 10 years now and are enjoying every moment, meeting new people and gaining new friends. We hope that you will join us one day so that you too can become our friend! Please click on the yellow button to come to our inquiry form. We will respond as soon as we are able.